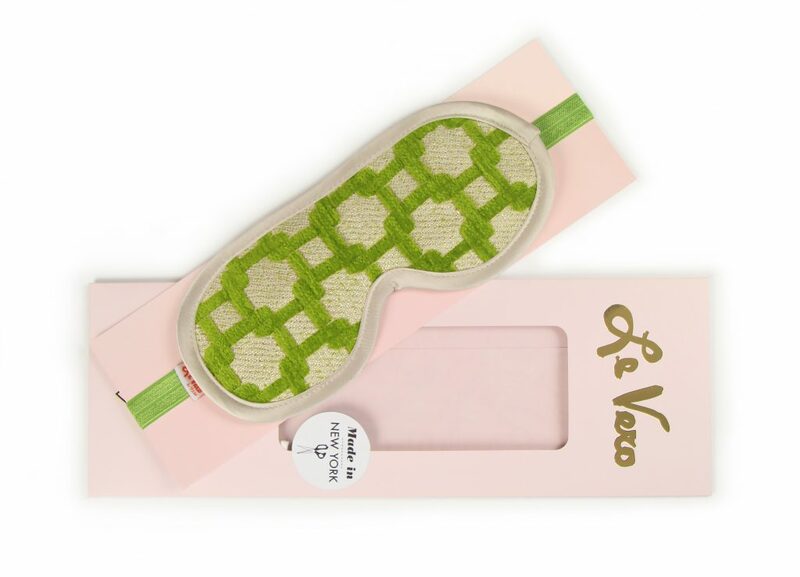 The Private Patio Green sleeping mask is soft and silky on the back with a deep chenille fabric on the front. 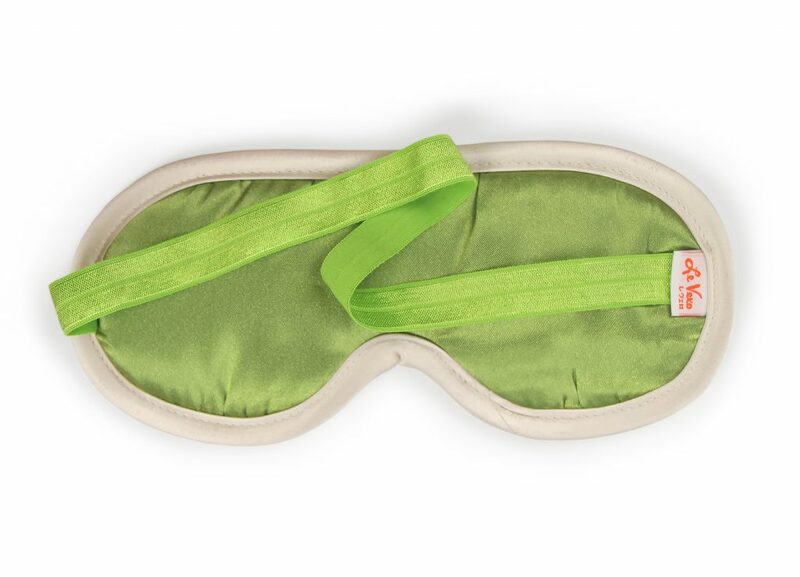 The fit is gently, but will stay in place through any 14 hour flight to Tokyo or lazy Sunday at home! 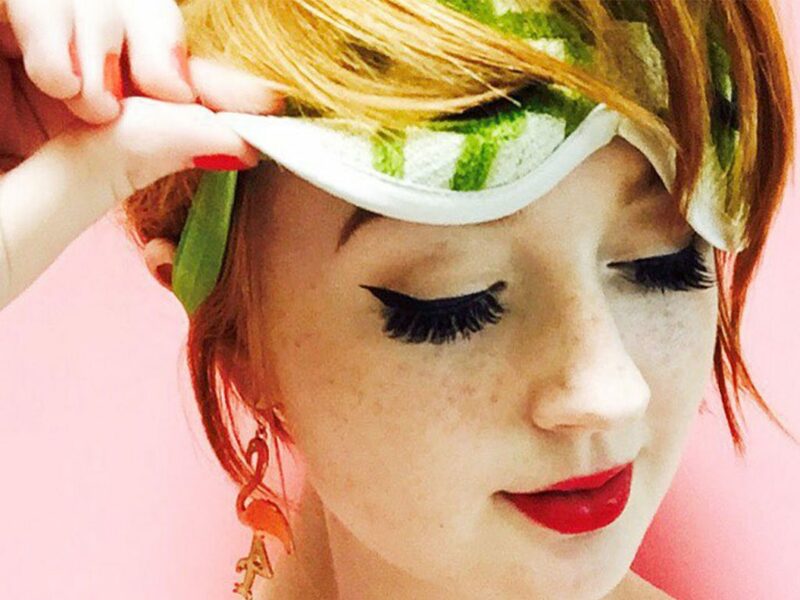 Sara of @fashflood stealing our hearts in our Private Patio Green sleeping mask! 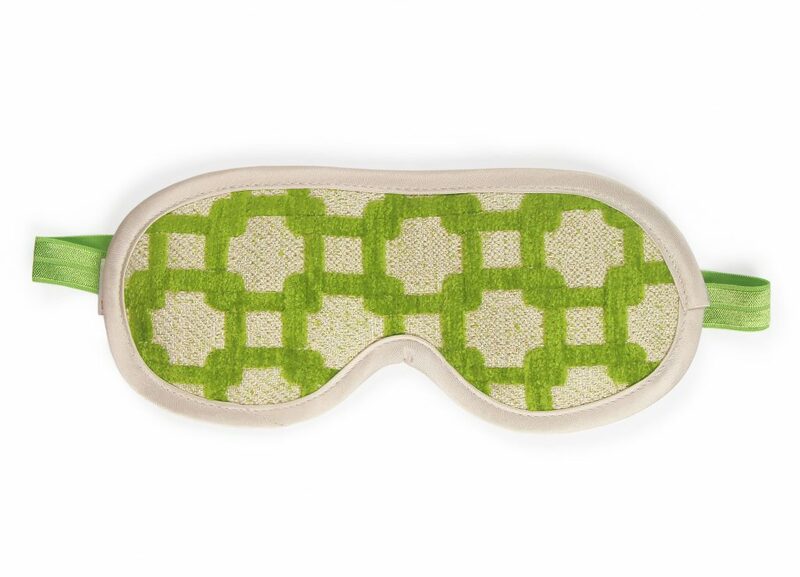 You can get your own now @helloholiday!